Hello job seekers, welcome to the set of tips and tricks, to boost your LinkedIn profile. For those, who don't know what's LinkedIn. Here a quick sneak peek. LinkedIn is one of the largest professional social networking sites and also being a home for almost all the tech enthusiasts and entrepreneurs spread across the globe. But today, we will be seeing about how to boost your LinkedIn profile to make it visible to a large set of your own domain experts and recuruiters. No one bothers about a definite summary. Why it is exceptionally important because it is the gateway to your profile. Anyone who is visiting your profile will be first looking at your summary as it takes an important role of portraying your entire professional life just at the edge of few lines. One important thing is not to stuff your profile summary with all the exceptional things that you've done all through your life but be sure to portray only those things which really matter to your recruiters. Use words which will surely have a great influence on your profile viewers. Advice: Keep it short and crisp. We all underestimate the power of receiving and giving the career recommendations until we know the value of it. So, today we will see how the Career Advice Hub works. We will all be looking for one perfect advice to reach and achieve our goal and dreams. You must need to tell LinkedIn that you are looking for an advice from professional people or peers and the intelligent algorithm will start looking for people who can give advice to you within your domain. If you are looking for a piece of advice away from your domain, then in that case you can also specify a specific problem to get your advice on. This platform helps you to get initiated with the top tech people who are willing to address your problem by giving you a piece of advice. LinkedIn offers you a massive chance to tell your recruiters that you are open for new opportunities. If you enable this feature, you would be directing all the intended recruiters to see your profile and then you can probably secure a chance to work for your dream company. You must know one more important thing that is to update your profile. In that aspect, your first attempt has to be directed towards updating your experience. Here you can mention about all the positions that you have held so far and also your current position. Describe your work responsibilities in all your jobs, so that it will help your viewer to find your capable areas. In this fast paced world, people often term that they are in a rat race for an invisible goal. But, you should also remember that individual social responsibility also plays an important role to get your dream job. It is not about your dream job, but it is showcases your humane nature to your recruiters. So, try joining as a volunteer in any of the Non-Profit Organizations which aligns with your interests. Endorsements comes in way handy when you are trying to prove yourself to a new recruiter. Usually endorsements are given by your friends, colleagues and other peers who either worked with you in the past or currently working with you on multiple projects. This field shows your exceptional dedication that you have put in to use all your technical skills. Try asking your friends to endorse you. The higher the endorsements, the higher the credibility will be. Recommendations are similar to endorsements but these are for you as a person. They can be either for your skills but people usually use endorsements to rate your skills and use recommendations to share their experience with you. You can request your teachers, previous managers, friends, fellow students and current colleagues to recommend you. This can have a massive effect on your profile just like a nuclear missile. This small little portion of your profile gives a quick and a deeper insight about your technical knowledge because you can showcase all your certification, extra-curricular achievements, courses you have taken up and completed among others. Do not feel lazy to fill this section up. Networking among professional people is the main idea behind LinkedIn. Providing your eMail address and your phone number can incredibly increase your visibility to the external viewers who are on a constant watch to recruit professionals with necessary industrial skills. Do update your contact details in this section. You can also set privacy as per your interest. Come on, this is not a Facebook or a SnapChat to have a weird fancy profile pictures of yours. Please be sure to have a professional picture. It's not mandatory for you to dress up in suit but at least have a picture in formals because at the end most of the people visit your profile based on your profile picture. Picture speaks a lot than words. Partial Solar Eclipse 2019 Date, Timings: January will be a good month for skygazers and astronomy enthusiasts with a partial solar eclipse and a total lunar eclipse taking place. On January 6, 2019, which is Sunday, first partial solar eclipse of the year will take place. The solar eclipse will be visible in parts of North-East Asia and the Pacific Ocean. The total lunar eclipse takes place on January 21, and will be visible in Central Pacific, Americas, Europe, and Africa. In total, the year 2019 will see five lunar and solar eclipses. These will include two total solar eclipses, one total lunar eclipse and one partial lunar eclipse and one partial solar eclipse. There will also be a transit of Mercury in November, when the planet appears to cross the Sun. The transit of Mercury takes place once every 13 years. Partial solar eclipse on January 6: Where will it be visible? The year will start with a partial solar eclipse on January 6, though it will not be visible in India. It will be visible from locations in north Pacific and northeast Asia, including China, part of Siberia in Russia, Korean peninsula, and Japan. The partial solar eclipse’s duration has not been highlighted by NASA in its calendar, which tracks nearly all solar and lunar eclipses for the coming decades. The Partial solar eclipse will take place around 23:34:08 in UTC, which stands for Coordinated Universal Time, and last till 03:48:46 UTC. In India, the relevant timings will be around 5 in the morning to 9 in the morning. However, this partial solar eclipse is not visible in India. In Japan, the timings for partial solar eclipse translate to around 8.30 in the morning with the peak being at 10.41 AM for the event. When will India see a total solar eclipse? The first total solar eclipse will occur on July 2-3, but this will be limited to South Pacific and South America. This total solar eclipse will not be visible in India. However, India will see an annual solar eclipse in 2019 on December 26, 2019. The eclipse has a total timing of 03 minutes and 39 seconds and it will be visible in Saudi Arabia, India, Sumatra and Borneo. What is a solar eclipse and what’s a partial solar eclipse? An eclipse is a celestial phenomenon which takes place when the Sun, Moon, and Earth are aligned in a straight line. In a solar eclipse, it is in the Moon which blocks the Sun’s path and appears to stop the sunlight from reaching the Earth. During a total solar eclipse, it turns dark during the day as the Sun is completely blocked by the Moon. When the Moon covers a certain portion of the Sun, and does not completely block the path, it is known as a partial solar eclipse. It is not safe to look at a solar eclipse without special protective eyewear, and this applies to partial solar eclipses as well. Institute of Banking Personnel Selection (IBPS) has released IBPS Clerk Admit Card for 2018-19 Mains Exam. IBPS will be organizing IBPS CLERK 2018 Mains exam for the post of Clerical Cadre on 20th January 2019. India is home to some of the most beautiful and fun places in the world. So when it’s time for New Year’s Eve, one can choose from a plethora of destinations to visit and have a great time. Mergify presents to you a list of some of the best New Year Destinations in India. 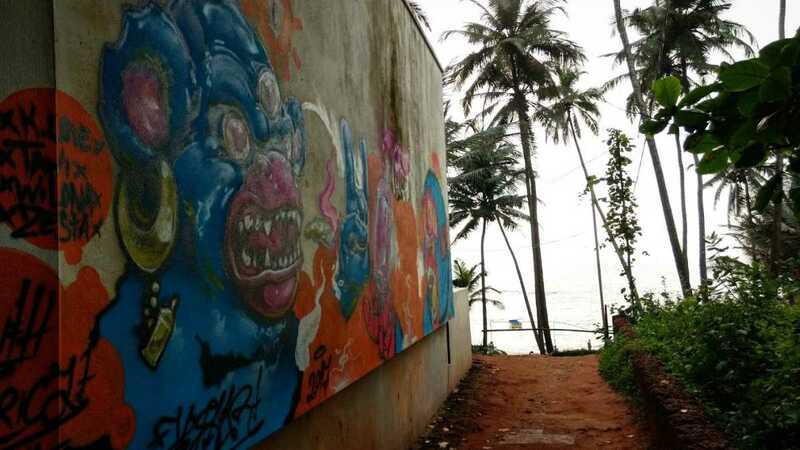 With the cheap booze and beach shacks every few metres, Goa is an ideal place for a vacation around New Years. If that’s not enough, Goa is also blessed with a wide range of biodiversity from sea-eagles to water buffaloes. Add the luxurious hotels, the umpteen food choices and the numerous party places to the list - you now have the best places to celebrate New year 2017 or any New year for that matter. The Union Territory, lending cultural and architectural elements from its French lineage, is still very much Indian at heart. The quaint town, also host to the “Aurobindo Yoga Ashram”, is a good place for self-reflection. The variety of restaurants, the steak and wine, just add to its natural alluring and create the perfect destination for a laid-back but fun New Year Celebration. 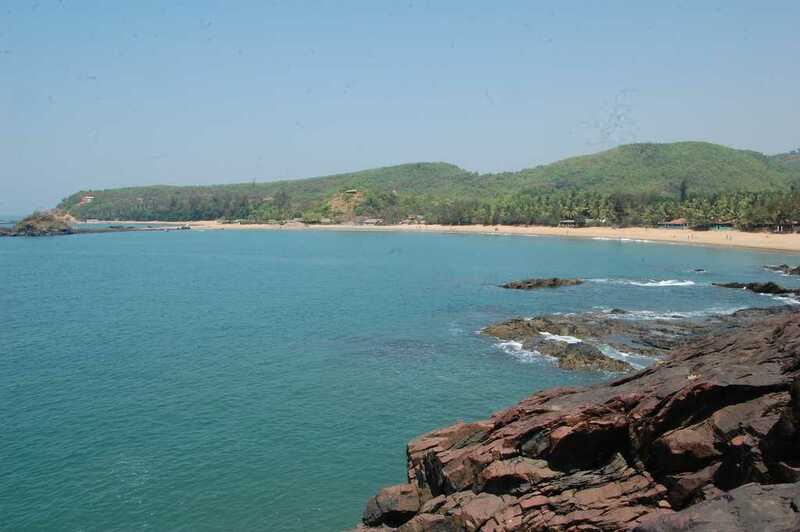 Situated on the coasts of Karnataka, Gokarna lives a dual life. 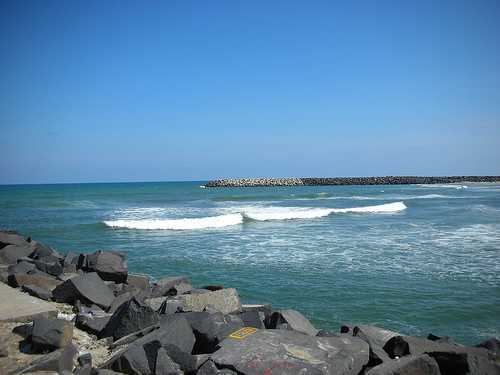 Famous for being a Hindu pilgrimage centre, home to Lord Mahabhaleshwara, it is also a beach-lover’s paradise. This place is highly recommended if you want to celebrate the New year with a group of close friends without much interference. Given the lack of commercialization, early booking is advised. 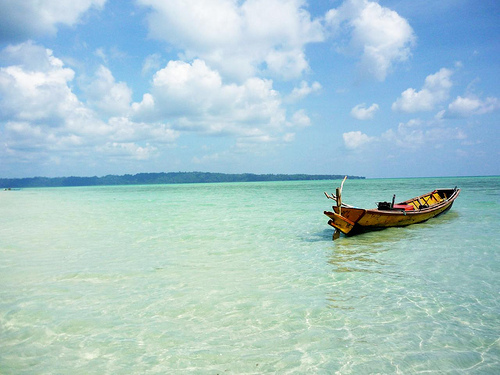 The Andaman and Nicobar islands are easily one of the best new year destinations in India. The otherwise really peaceful, serene and calm atmosphere of the place is transformed into one which includes crazy parties on yachts, resorts and beaches. Add to it the pristine white sand beaches and the clean natural surrounding areas, this place becomes the ideal new year getaway for everyone. Apart from the usual beaches and water sports activities, there are other tourist spots too one can visit while here. However, due to the increased popularity of this place, early reservations are definitely recommended. 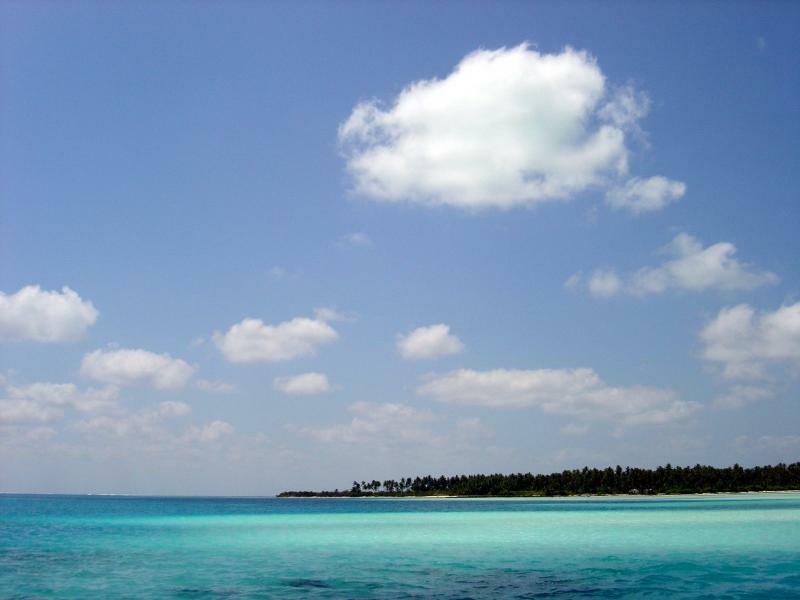 Not as commercialized as the Andamans and a shade too beautiful as well, Lakshadweep is emerging as one of the new year destinations in India. Only 10 out of the 36 islands are habited and that too the population not being a lot. This makes it a perfect place to spend the new year with your significant other. The major attractions the coral reefs which are an underwater paradise for people interested in scuba diving and snorkelling. 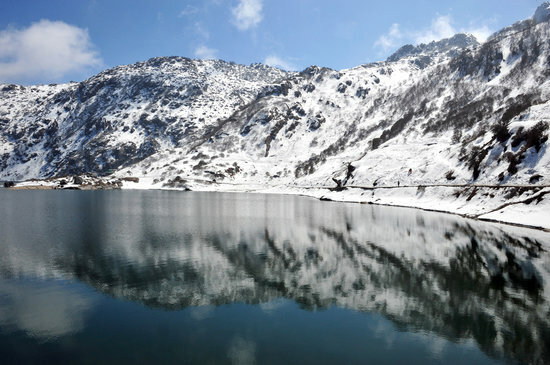 Situated at an altitude of 5410 feet, Gangtok (meaning “Hill Top”) is aptly named so. Coupled with its beautiful sunset and dawn views and its clean surroundings, this small town is also called the “Switzerland of the East”. Trekkers and mountain lovers, do look out for Kanchenjunga, the 3rd highest peak in the world. Now, imagine spending the eve of New Year in a place with such beauty. Both Indians and foreign nationals can visit Tsomgo lake, however since this is a protected area, all require Protected Area Permits. Foreign nationals must be in a group of two or more. You need to go through a Sikkim Government authorized Tour Operator to organize the trip and get your permits. Your hotel can also mediate through a tour operator. You will require Photo Id proof (passport, Voters Card or Adhaar Card) and two passport size photos each for the permit. Approach the tour operator one day in advance to get your permits ready for next morning. The road condition is not good due to heavy snowing in winter season. So large vehicles like Sumo, Max, Scorpio etc are better suitable for this trip. Because of the high altitude, you will require heavy woolens. Most tourists combine visit of Tsomgo lake with Baba Mandir which is few kms away. If you start by 8am, you should be back by 3pm. So both Tsomgo and Baba Mandir are covered as part of a day trip from Gangtok. You can also additionally combine Nathula Pass (14,140 ft) and see the Indo Chinese border. 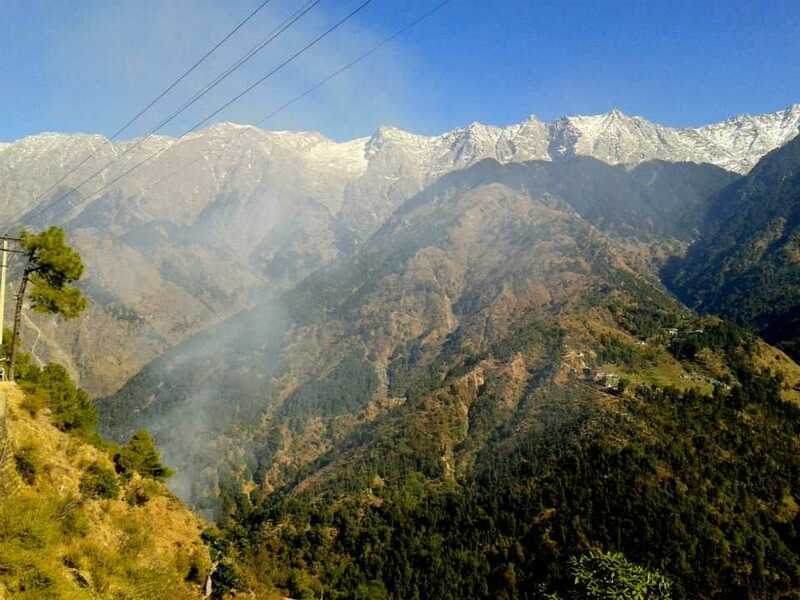 If you have breathing problems, you are advised to consult a doctor before visiting these places (particularly Nathula) because of low oxygen at such high altitudes. Portable oxygen cylinders are available at Medical shops in Gangtok. The headquarters of the Tibetan government in exile, McLeodganj boasts some amazing sightseeing places, food cafés and unique Tibetan souvenirs. A mix of cultures, Mcleodganj is the residence of the 14th Dalai Lama and famous of the Bhagsunath temple. Shiva cafe, a small trek near the temple is recommended. Mcleodganj is one of the best new year destinations in India if you are looking to welcome the New Year in a peaceful place with a different culture and amazing scenery all around. Manali is the Indian favourite for witnessing snowfalls and skiing. Full of pine trees, fruit orchids and hippies, it’s an ideal place to celebrate the new year in India for those who want to end their year on a high, both literally and figuratively. Take a ride on the Manali-Leh highway or visit the choicest little winter destinations nearby. The natural beauty of this place is sure to liven up your spirits as the year ends. 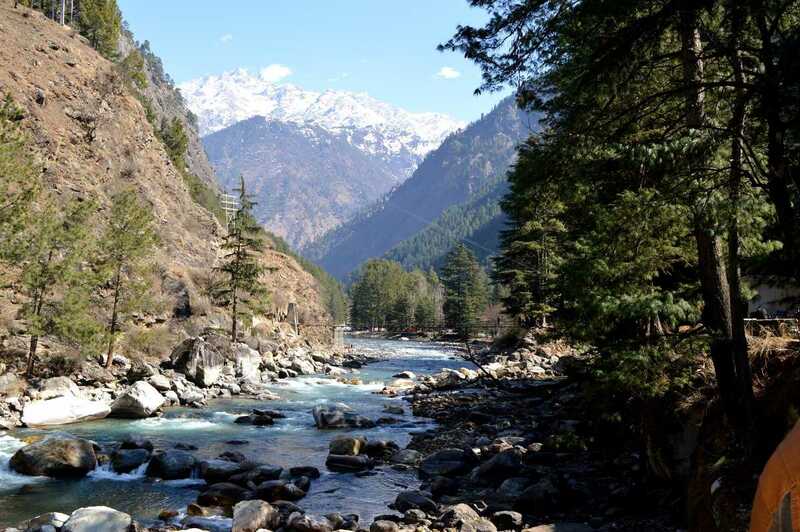 A small, quaint and cosy escapade in the scenic hills of the Himachal, Kasol gives you the best of both worlds. Parvati Valley, located here is one of the most beautiful destinations not only in India but in the world. It would obviously be very cold here during New Year, but the great time you’ll spend here partying and breathing in the fresh mountain air and enjoying the scenic beauty, is bound to make you forget about the chill. With its crazy party scenes and beautiful natural scenery, this is the place to be during New Year’s Eve. Here’s one from the South! 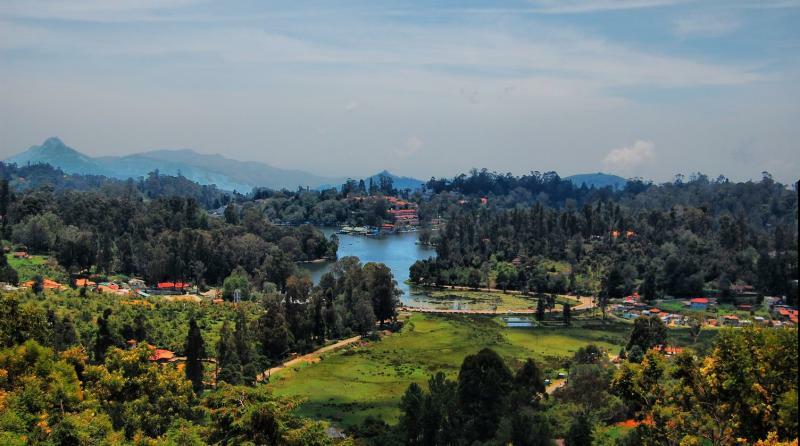 A charming hill station located in Tamil Nadu, Kodaikanal is often referred to as the “Princess of hill stations” and is a popular honeymoon and holiday destination in the South. The cool and misty climate, waterfalls, the lush green hills and forests make it look like something straight out of a fairytale! One must definitely visit this place during New Year, be it with family or friends. I’m sure you’re in for an amazing time here! Psst, don’t forget to try some of their amazing coffee. Also known as the “City of Lakes”, Udaipur is famous for its Rajputana Palaces, handicraft market and diverse wildlife. A romantic heaven, the climate and surroundings of Udaipur have given it the informal title of the “Kashmir of Rajasthan”. Visit the place around new year’s eve if you want to be treated like royalty. The Kodagu region, also known as Coorg, is famous because of its cool climate throughout the year and picturesque surroundings. The tea gardens and the coffee and spice plantations, just add to the beauty of the place. One of the best places to celebrate the new year against a scenic backdrop. A popular hangout spot for the Bangalore IT crowd, Kodagu is also famous amongst the birdwatchers and backpackers. Alappuzha or Alleppey is called the “Venice of the East” and with its vast variety of canals, lagoons, beaches and backwaters, rightly so. If a serene getaway is on your mind this year end, look no further. 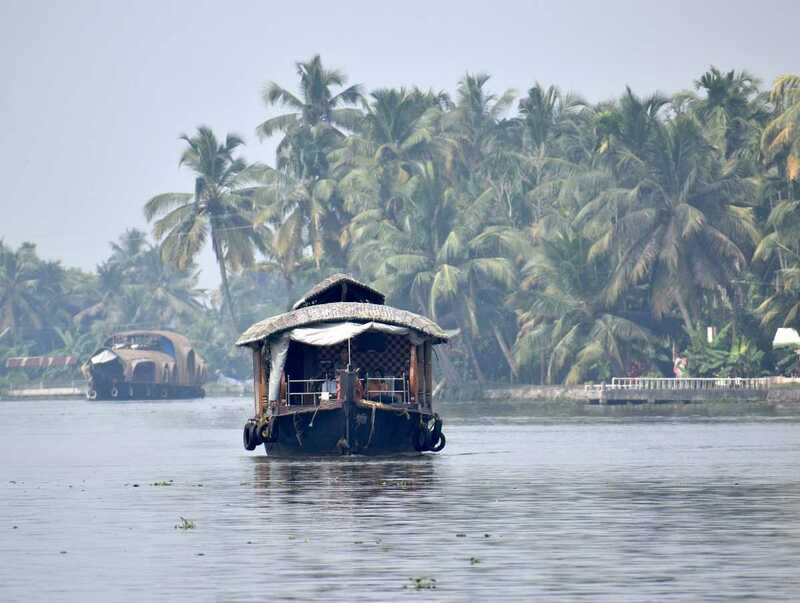 A very traditional village life coupled with the best backwaters experience in India make Allappuzha ideal for those looking to greet the new year in peace. Famous for the Sonar Quila or the Jaisalmer Fort (A UNESCO World Heritage Site), the city of Jaisalmer is also known for its golden sand dunes and of course, the mystery of the Thar Desert itself. The hue of the desert has given it the name of the “Golden City” and it’s one of Rajasthan’s most well known tourist destinations. The clear, starry nights giving you a stunning view of the Milky Way, the slow and peaceful camel safari, the chill of the desert and of course, the local Rajasthani cuisine, make it one of the new year destinations in India where you can have the best time. The city of dreams, which hosts everyone and everything, from rags to riches, from beaches to high rise, from slums to bungalows, from street vada-pao to luxurious 7-stars, Mumbai is the amalgamation of Indian culture and people. With many beaches and historical places to explore and clubs ready to give you a dazzling start to your new year – Mumbai caters to you the way you would like it to. Being the nation’s capital, New Delhi is full of historical places and museums. With its amazing performing arts scene, it is an artistic heaven but if food or shopping is your idea of fun, Delhi should be at the top of your list as well. With Mughlai to South Indian to Continental food and from Rajasthani Handicraft to Madhubani paintings to cheap Chinese electronics, Delhi has it all. This city makes for a colourful new year celebration. The silicon valley of India, Bangalore, is not just the Mecca for the IT crowd but also a tourist magnet. 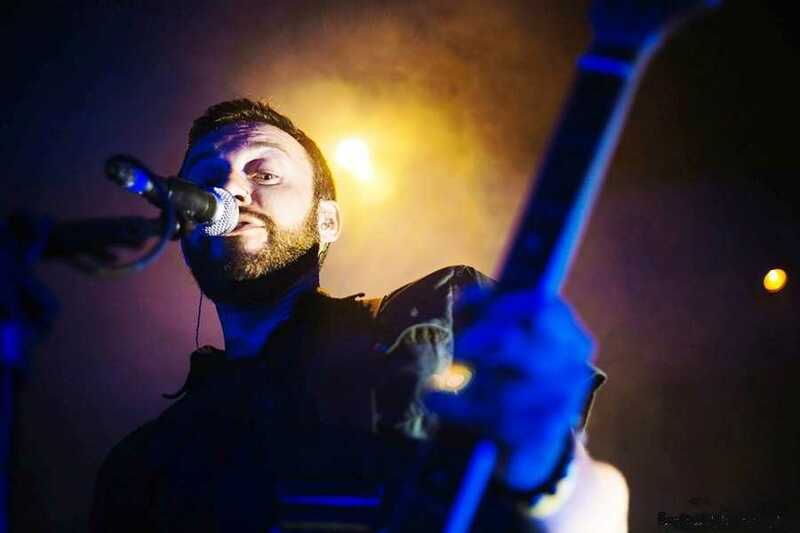 Head here on the occasion of the new year for an eclectic celebration. The moderate climate, large green gardens and open spaces give it a positive and healthy aura all the year round. The youthful energy shows all around, especially if you are into shopping. A stroll on MG road and partaking in the city’s restaurant culture is definitely recommended. 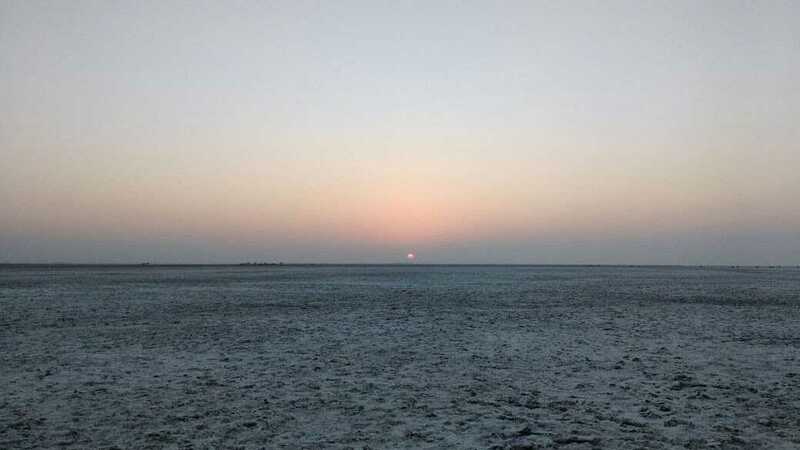 With vast expanses of white salt desert, Kutch is one of the most surreal places in India. 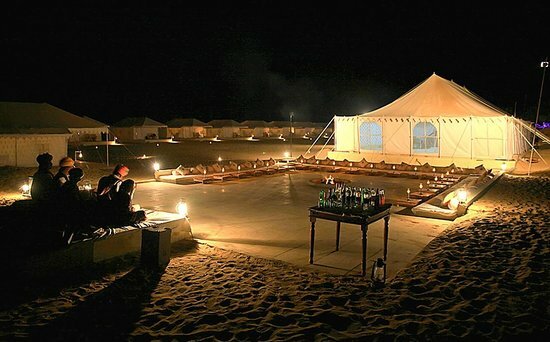 The Rann Festival that takes place between the months of December and February making the place come to life! Experience cultural programs, camping, hot-air ballooning and have a fun-filled new years celebrations! The capital of Meghalaya, Shillong offers a mesmerizing experience in the lap of nature. Beautiful lakes, waterfalls and mountains adorn the city of Shillong. And it is due to this abundance of scenic beauty, the city is also known as ‘Scotland of India’. The natural beauty and serenity of Shillong is what draws tourists from all over India and abroad. The breathtaking view from the peaks of the mountains adds to the charm of Shillong. 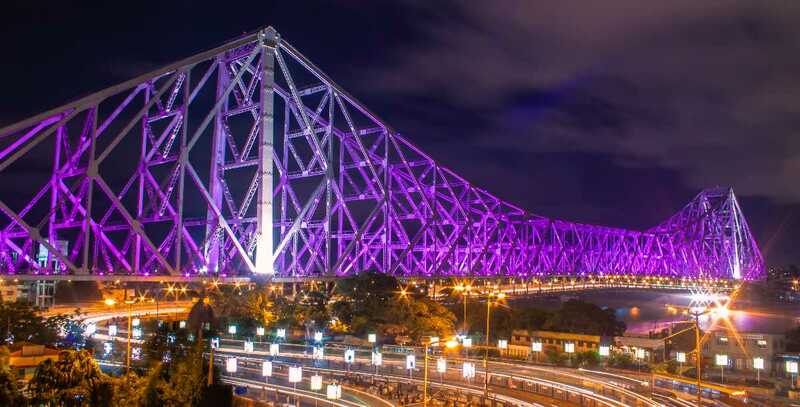 Labeled as the ‘City of Joy’, the ‘Cultural capital of India’, Kolkata (formerly known as Calcutta) is a city with character and remnants of British Raj visible in its Victorian-style architecture, trams and feel. It is one of the most densely populated cities in India With a heritage as dense and the population, this city along the banks of river Ganga is known for its culture, people, food, music, literature and the movies. We all know that there was a lot of speculation about the dark side of the moon regarding what information does it contain. Coming to our article today, we see that China is planning to launch its satellites orbit around the dark side of the moon so as to know what really lies beyond our vision. Dark side of the moon also often known as the "Far side of the moon" is really the dark side of the moon because all the satellite communications would black out once the satellite goes into that orbit. We will see in detail why it happens but don't worry we will keep it short. Before going to read, let's get familiarized with some technical aspects. "There is no dark side"
The reason we can’t see the far side of the moon is that our satellite rotates exactly once per orbit so as to keep that side hidden from view (see video below). Chang'e 4 is the vehicle scheduled to launch in the late 2018 (but it's already late). This mission, if successful, gives deeper insights to the alien place of the moon. This lunar mission comes as a successor for the Chang'e 3 which landed on the moon in the year 2013 and deployed a robotic rover, Yutu, which malfunctioned on the second day itself but continued to record and transmit the data. The interesting part to continue this mission is that the robot has identified a new type of rock fueling the idea to relaunch another lunar rover. China’s solution to this dilemma is to deploy a relay satellite that will be able to see both the lander and the Earth at the same time. Rather than being placed in orbit around the moon, the Chang'e 4 Communications Relay Satellite will be sent to one of the five Earth-moon ‘Lagrange points’. These are positions where the gravitational forces and orbital motions of the spacecraft, Earth and moon interact to create a stable location. The one chosen in this case is the Second Lagrange Point, ‘L2’, which is 67,000 km beyond the moon. Seen from the exact L2 point, the moon would completely hide the Earth. However, this can be solved by causing the relay satellite to follow a “halo orbit” around the L2 point. This is like a small ring around the Earth-moon-L2 line, of a diameter sufficient to keep the Earth in view beyond the moon’s edge. This situation is one of “unstable equilibrium”, but requires very little expenditure of fuel to sustain. It may seem tricky to achieve, but several spacecraft have already made successful visits to L2, including Chang'e 5-T1, a test mission for another planned lunar mission, Chang'e 5 (which will land in 2017 and return a sample to Earth). The Chang'e 4 landing site has not been confirmed, but it is widely expected to be inside the South Pole-Aitken basin. At 2500 km in diameter and 8 km deep, this is the largest impact basin on the moon. Unlike those on the near side, it has for some reason not been flooded by lavas, so it offers us a window deep into the Moon’s crust for study of the lunar interior. There could even be fragments from the moon’s mantle scattered across the surface here – the impact that created the basin could well have reached the mantle and thrown up debris. Lunar geologists believe they can deduce the mantle’s composition by examining the crust, and this would be a good chance to test whether they are right. Other proposed missions to the far side of the moon – such as the crowd-funded Lunar Mission One, the Russian and European Space Agency jointly-planned Luna 27, and maybe an independent ESA lander, too – are aiming at the fringes of SPA basin at the moon’s south pole, from where the Earth stays in view as it tracks around the horizon. These will have the benefit of permanent sunlight, and a chance to find ice inside permanently-shadowed craters. However, thanks to its relay satellite, Chang'e 4 looks set to provide the first surface-based analyses from deep inside the lunar far side. Let's see what will work out with the China's mission! Firstly, I would like to apologize for the delay in posting this one. To conclude the episode of "wife-husband relationship," let us know about the third couple in the Ramayana. We shall see the life of Vali and Tara. To give a brief introduction, Vali is the king of the monkey kingdom and Tara is his wife. Vali was a very strong warrior with great valor and had a boon of getting half the strength of his opponent while fighting. Once a demon called Mayavi challenges Vali for a duel. Vali being an excellent warrior defeats Mayavi and in the pride of victory, throws the body of the demon as far as he can. The dead body falls in a hermitage of a sage on a mountain called Rushyamooka. That's how powerful Vali is. The sage sees the dead body and curses the one who did this. The curse is that if the person who has done it comes on to the mountain, his head would blow into thousand pieces. This serves as the reason for Sugreeva to stay on this mountain when Vali throws him out of the kingdom. 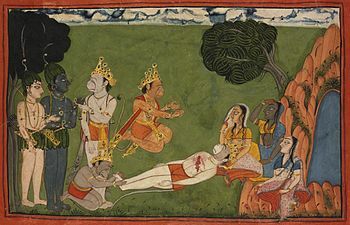 Sugreeva challenges for a duel after having Rama on his side. Unable to find the difference between the two, Rama would not be able to shoot his arrow and Sugreeva gets all beaten up! Sugreeva runs for his life and comes to the Rushyamooka mountain. Rama asks Lakshmana to put a garland on to Sugreeva so that he can differentiate. Now Sugreeva goes and challenges Vali again. Vali would be in his palace with Tara beside him. Tara is depicted as a very intelligent, courageous, and convicted wife. She observes that there is something fishy about Sugreeva calling Vali for another duel. She asks Vali to stop and think about how Sugreeva after getting beaten up so badly almost to death can come back in no time? She understands and explains that the voice with which he is calling Vali out has some kind of confidence in it. She also tells that she got news that Rama along with Lakshmana has come into their kingdom recently in search of Sita. She explains Vali about the greatness of Rama and expects that Sugreeva has joined with Rama. She even mentions that Sugreeva is not someone who would believe somebody very easily which happens to be true. Sugreeva did not believe in Rama unless he proved himself and only then Sugreeva came for a duel with Vali. She tries to convince Vali in every possible way by describing Sugreeva and Rama. Vali listens to whatever she had to tell, doesn't even step forward while she is speaking, doesn't talk back. Then he turned towards her and said, "It is so kind of you that you warned me about the possible danger. Now that you have told what you wanted to, I will do what I want to!". That is the kind of relationship between Vali and Tara. He listens to all of what she had to say (unlike Ravana) but doesn't follow a word of what she told. So these are just three couples from the Ramayana. Vali listens to Tara but doesn't follow. Ravana doesn't listen to Mandodari at all. And then there is Gauthama who cleanses all of the sins done by his wife and makes her pure all again. Now it is your turn to choose whom to follow. I humbly place this article at the feet of Sri Chaganti Koteswara Rao and feel extremely privileged for having got an opportunity to translate his speech so that it benefits the society. In his words, "Every couple that is going to get married should be made to analyze these couples and should be asked to come up with a certain summary of what they understood with the parents. Parents would then have to correct them if they are going wrong somewhere in the interpretation". Hoping for a better society, may all the beings in the world be at peace! Om Namah Shivaya! Om Sree Gurubhyo Namaha! Harihi Om!